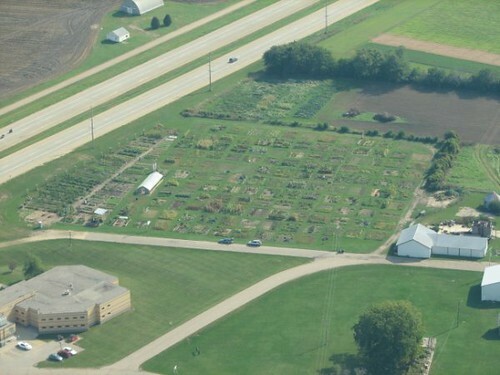 Since 2001, Rock County UW-Extension has facilitated a community garden rental program at the Rock County Farm, Janesville. Over 120 plots are available across the 3.5+ acres. Initial tilling and water are included in the annual rental fee. 2019 Renewal: Renters from the 2018 season received renewal forms in January. Renewal forms are due by February 11, 2019. Perennial Plots: Beginning in 2015, year-round perennial plots were made available for a limited number of gardeners. There are no perennial plots available at this time for the 2019 gardening season. Plot Swap: If you are unhappy with your 2018 plot and want a new one for 2019, renew your current plot and swap for a different one during the Plot Swap beginning at 1:00 p.m., February 22, 2019. You may swap your assigned plot(s) for open plot(s) in the garden. This will be on a first-come basis. If you are unhappy with your new selection, your rental fee can be refunded. New Renters: All un-rented plots will become available on a first‐come basis starting at 1:00 p.m., March 8, 2019. Payment is due with completed application. Contact the UW Extension office at 608-757-5066 or email tara.hanley@co.rock.wi.us to check on availability. The garden is open early May (weather permitting) through October 31. Garden plots are approximately 20’x25’.